and they truly make you feel special. Their service is outstanding! We promise to be available when you need us most, from the first phone call to weekly check-ins. 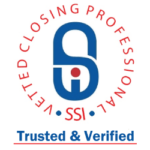 and track all of the details of your closing, allowing you to feel totally confident in the service you are receiving. 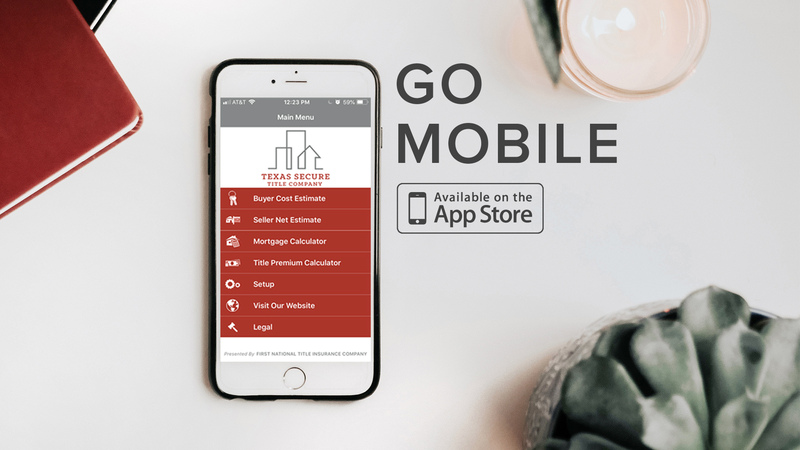 Texas Secure Title Company offers eight different locations across the metroplex as well as mobile closings. We’ll be wherever, whenever you need us. Our centralized processing center allows us to make sure you close on time every time. In case of any roadblocks, we also have six attorneys on staff ready to take your calls. We’re all about partnering with you to create the best experience possible. 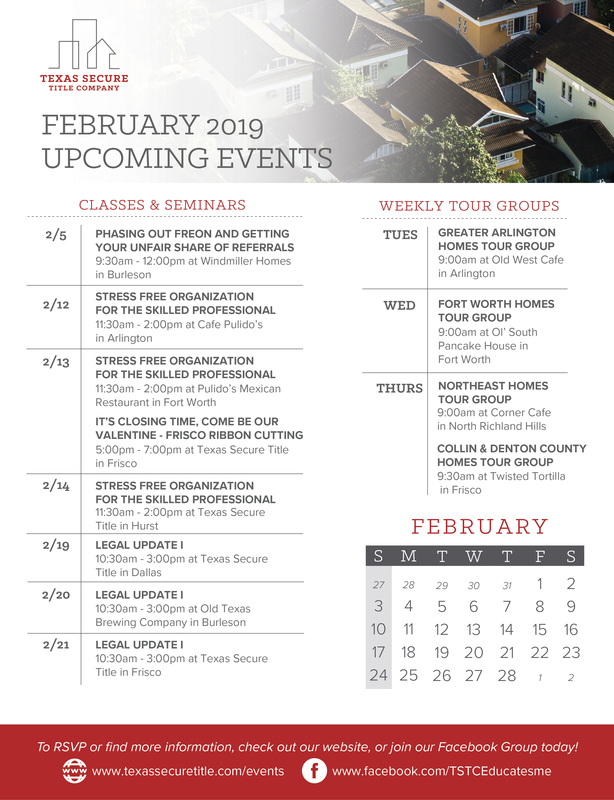 In doing so, we offer multiple Escrow & Real Estate training opportunities each month, as well as four different homes tour groups to join each week.